The percent of the US reaching 90 degrees during August has plummeted over the past century. Last year was a record low of 61%, and this year was also in the bottom ten percent. The percentage of hot days has also declined sharply over the past century. And the average maximum temperature has declined, and was below average this year. The fraudsters who run the climate propaganda machine of course claim the exact opposite. CBS News says it was the hottest summer on record in Boston, which had no days over 95 degrees this year, compared to eleven in 1949. Boston has had ten days over 90 degrees, which was a little above average, and 24th highest on record. The average maximum temperature this summer was also a little above average, and was 13th warmest on record. 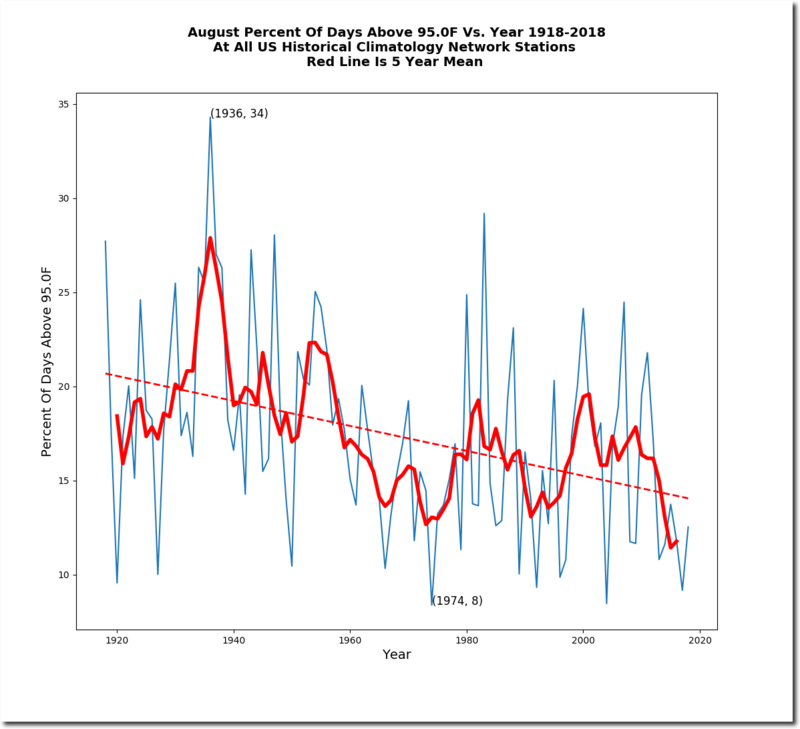 It is wildly fraudulent to say this was the hottest summer on record in Boston, but fraud is the standard operating procedure for climate reporters. This august is turning out to be about the 10th warmest on the last 20 years globally and the greatest proportion of the warm anomalies have been below 60 deg, south latitude in Antarctica. It sure isn’t hot in Fort Collins, CO. 48F this am at 0400 in my backyard. I’m fairly new to this website. Appreciate the work, Tony! I’d like to better understand the data set you use. I’ve been to the NOAA website and tried to wade through their explanation about HCN data and adjustments. Would you consider publishing a primer for how one starts with the NOAA website, the specific data set to download, and how one ends up with the data you use for your graphs? I need to be willing to go (belief-wise) in whatever direction the data takes me. My problem is that I don’t know what data to trust. 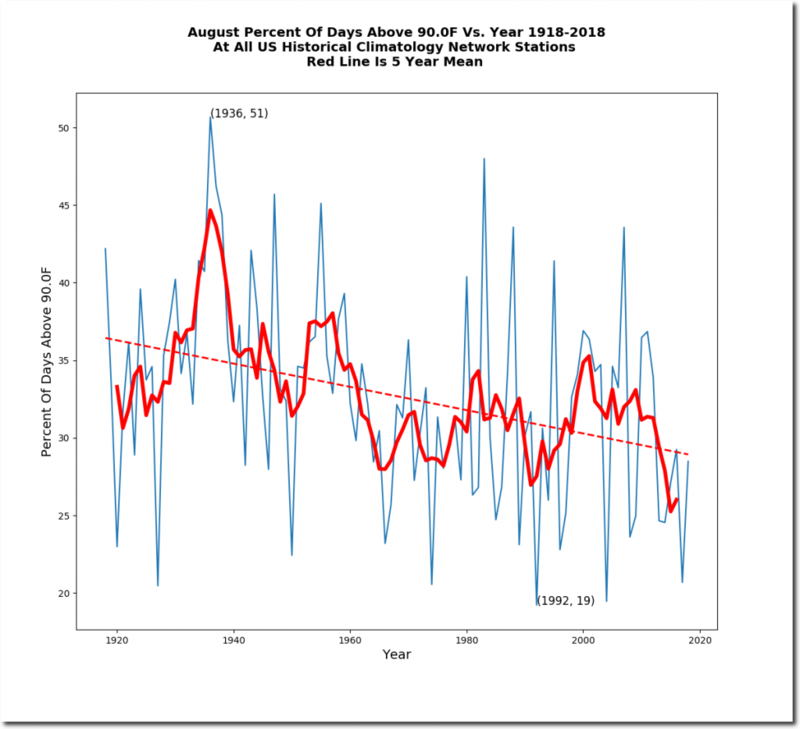 You will find zero data on NOAA’s website. Artifacts of analysis are all that you will find there. So the data used in your plots is the raw (unadjusted) temperatures? 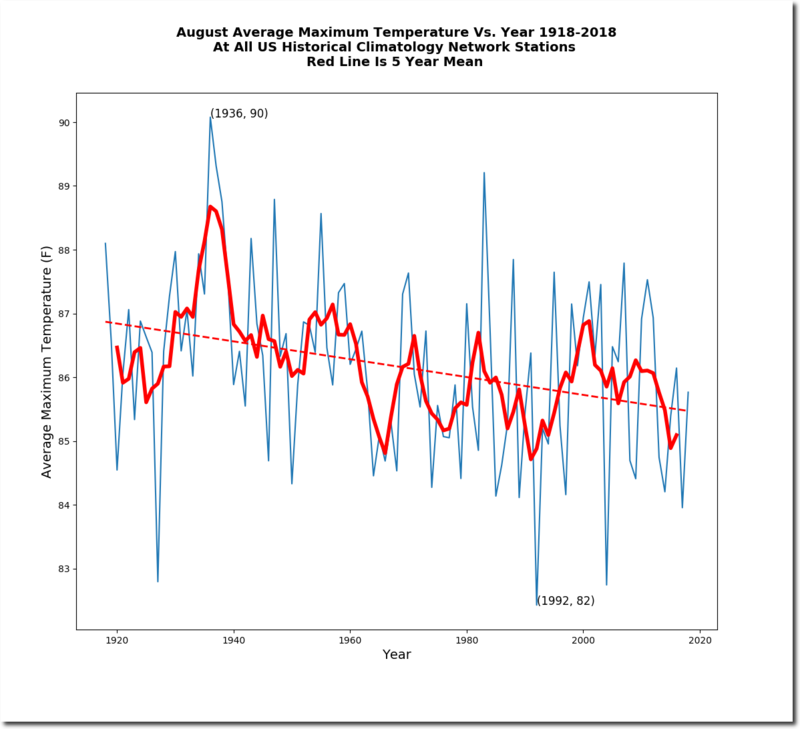 Has anyone from NOAA offered an official explanation for their temperature adjustment methodology that could even plausibly explain why the adjustments alone account for all of the warming? If they want to be taken seriously, that would seem to be imperative. By the way, if you have not already done so, check out all the linked topics that Tony has listed immediately under the picture of Toto at the top of the web page. I guarantee that you will experience multiple instances of jaw dropping and uncontroled outbursts of “Those sorry B@#$!” aimed at the CAGW crowd. I have read some of the posts linked at the top. I am still somewhat incredulous that there isn’t a robust public discussion about this. 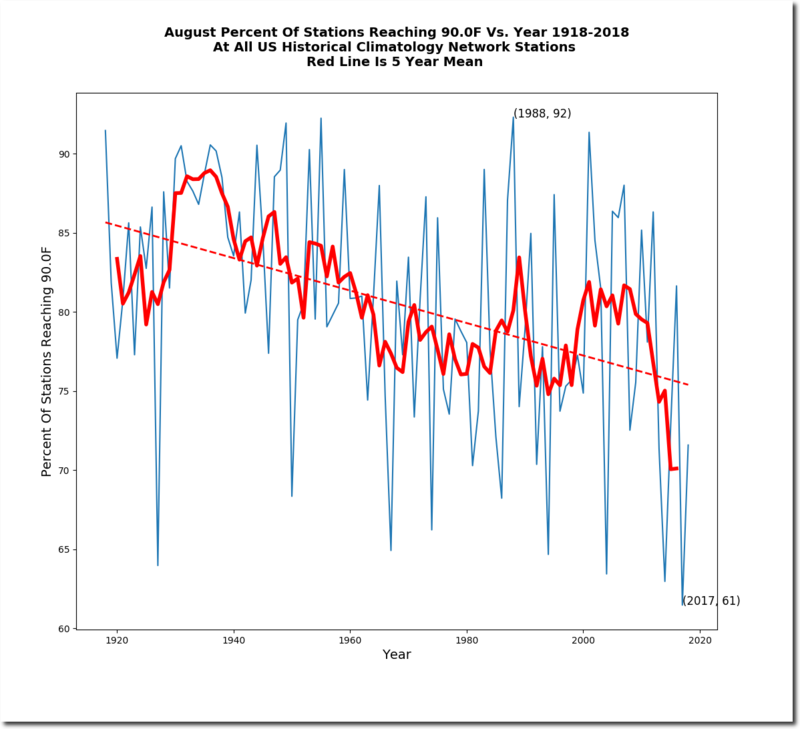 If the monkeying – excuse me, “adjustment” – of the data produces all of the observed warming, that would require quite a series of extraordinary coincidences to produce it, if it is in fact real. I didn’t say that very well. 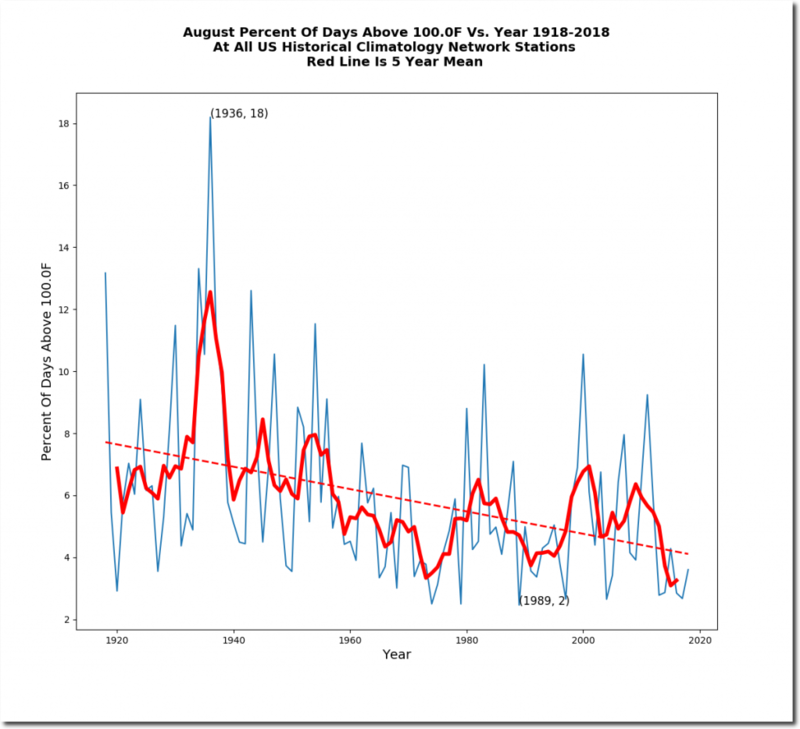 If the warming is actually present, and yet it requires a monotonically increasing adjustment of the data to show it, that would mean there are an extraordinary set of circumstances at work in the opposite direction. Hey DCA, yes, what an amazing coincidence! Monotonic increasing adjustments! Apparently, back fifty or a hundred years ago, the many stations at the time averaged a reading of an extra degree too hot, all over the country. Then, in the decades following they got incrementally better and better until a decade or two ago they were (on average) spot on. Sadly, the trend now continues and today, all the stations average reading temperature too LOW, so that they need to be tweeked higher. Or the CAGW crowd is simply lying. And of course the authorities never give enough reasons or calculations to allow an independent observer to verify their adjustments. More than a few people have asked for justification. I remember some years back when another attempt to get clarification was made. NOAA simply responded that their “algorithms were working as designed”. I know which way Occam’s Razor would cut. 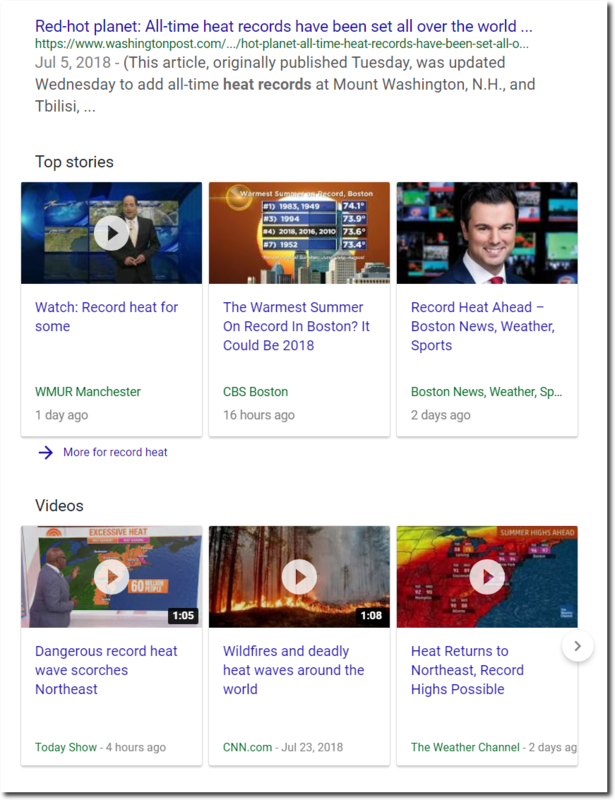 Yes, Boston is currently (2 PM) 97 degrees, a good run of the mill summer heatwave. But their all time record of 104 set in 1911 does not appear threatened. Meanwhile in the UP of Michigan, afternoon temperatures are in the bone chilling middle 50’s. Relief for the Northeast is definitely on the way. And when it comes as a ridge builds across the NE US so will the hurricane season. We’ve been pretty miserable here in central Indiana also. Temps in the 90s but the dew points are high. When I mowed the lawn Sunday afternoon the heat index was right at 100 F.
Parked 20 miles south of Green Bay, WI. It’s 01:10 CDT and 55 deg. F.
Using my heat for the first time this Summer. All of the lying and scheming has one purpose and one purpose only and that is to separate productive people from their hard earned money.